Super High Roller Matt Berkey talks preparation and goals for playing high-stakes cash and tourneys. 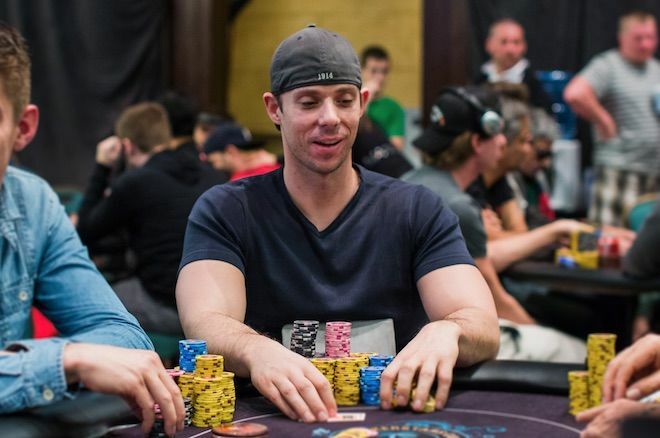 Matt Berkey shares poker advice, and tells about a memorable "Big Game" hand with @BrokeLivingJRB. Editor's Note: Last week we looked in on a brand new vlog launched by poker pro Matt Berkey and his colleagues at the Solve For Why Academy. Today we share an interview with Berkey who in a little over a decade has amassed over $3 million in tournament winnings while enjoying significant success in high-stakes cash games. 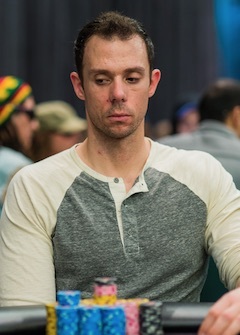 The discussion covers a number of topics, including the importance of having a strong mental game, Berkey's own journey as a player and keys to his success, anecdotes from his experiences playing in the Big Game and the Super High Roller Bowl and advice to players heading out to the World Series of Poker this summer for the first time. PokerNews: What kind of mindset do you think is needed in order to be a professional poker player today? Matt Berkey: This question is tough to answer specifically [with regard] to the mental game, because I think it requires such a perfect parlay of talent mixed with work ethic and a self-awareness high enough to admit that we're not born with the innate ability to turn off emotion and bias during the decision-making process. I think it requires a certain removal from the "me-centric" mindset we default to, particularly when stressed into a "fight or flight" response — which inevitably poker will test time and time again. What are the biggest mindset leaks that the average player suffers from? How about super high-rollers — do they have different mindset leaks, in your experience? I'm just speaking to my experience as I'm no expert in the world of psychology, but I think the common leak is succumbing to emotional responses during problem-solving. So many people take action based upon what they want or hope to have happen, only later to justify [that action] through flawed logic. This [leak] still remains quite prevalent even at the highest levels, but it's much subtler and specific to assertions. I think at the highest levels people suffer from impressions they've gained of certain opponents over a tiny sample leading them to misapply that assertion incorrectly. The phrase "figures don't lie, but liars figure" loosely applies — in other words, a biased mindset rooted in arrogance or disrespect toward an opponent can lead to reverse-engineering the numbers based on these flawed assumptions to further the narrative that the original premise was correct all along. I'd wager it's largely what's kept Phil Hellmuth successful for so long. What inspired you to start your own training academy, and what makes Solve For Why different from the other training products on the market? Who is your ideal student? What is the proper time in their development to take part in the academy? Honestly, I created the Solve for Why Academy because I felt there was a hole in the market regarding live-focused material. Moreover, I have a bigger goal in mind for the Solve for Why brand as a whole, but since I know poker best I thought it'd be best to prove the concept small scale before taking a huge leap of faith on an out there idea. Our mission, be it in poker or elsewhere, is to provide attendees the guidance necessary to think differently, more specifically to approach problem-solving from a "why" point of view rather than "how." I think ideally anyone open to that line of thinking would make for a good candidate to attend our academy, but we specifically want to help those who have plateaued, yet still find themselves trapped in the learning curve. We believe we can help our clientele break down those barriers. If you could go back in time to 10 years ago, what advice would you give your younger self? Ironically the advice I'd give — and do give to anyone who will listen — is actually something I accidentally adhered to throughout my 20s... take the time to f*ck up. There's no time in your life when you are as free and protected to mess up as [during] your 20s. So long as you're of sound mind and reasonable intelligence, you'll always bounce [back]. Pursue anything and everything that grabs your interest with a fiery passion — eventually something will stick. Pursue anything and everything that grabs your interest with a fiery passion — eventually something will stick. But whether you find your purpose or not you'll learn and experience more in that decade than your 50-year-old self who played it tight to the vest could ever fathom in his wildest dreams. Taking this time to learn to embrace risk, to trust yourself implicitly, and to test your fortitude will be the "X" factor that allows for an impactful adulthood. If someone wanted to replicate your level of success, would what you tell them to do? I think success is relative and the concept of quantifying it even generically through levels is subjectively unfair to anyone who has endured a process of growth to become a better version of themselves today than they were yesterday. That being said, I think shaking the shackles of conformity is a huge step, if for nothing else [than] embracing who you are and what you hope to accomplish. Sheep don't suddenly become shepherds. Challenge the status quo. Be willing to end up with egg on your face, and remain humble to the process when those failures do occur. The latter was the toughest part for me. Pride was my biggest hurdle. It hinders logical deduction and instead triggers emotional responses. What's the best advice anyone ever gave you (and who gave it to you)? "I just want you to be happy-go-lucky." That would be my grandmother, Louise. She was so sweet yet so quick to pinpoint that soft spot in an otherwise well-armored defense mechanism. I definitely grew up with a massive chip on my shoulder, a byproduct of exhausting so much energy in both hiding my home life as well as passionately pursuing an athletic career which required fighting genetics at the very least. She was the first person to really harp on me to just be me and [not to be affected by] the pressures of fitting some mold of a version of me that I couldn't sustain. Through her simple elegance, she eventually got her point across loud and clear. How did it feel to hit a seven-figure score for the first time? 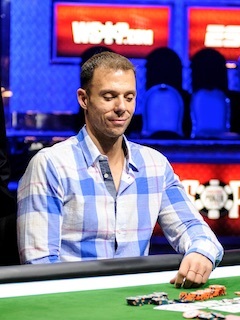 [Berkey earned $1.1 million for a fifth-place finish in last summer's $300K Super High Roller Bowl.] Now that you've done it, do you think subsequent ones will be (or are) easier? I felt validated. More so [because] the preparation process was as successful as I believed it to be. Of course this is one isolated, anecdotal event that may or may not prove a correlation between the work and the result, but it's all I have to go by. That's about as deep as it went for me. I have had seven-figure scores before in cash [games] and it's tough to really attach yourself to the moment when your profession is literally to be removed from the outcome of events out of your control. I of course believe I'll have a lot of opportunities for more scores of this magnitude and I know I will have done my due diligence to be fully prepared. How do you see your career evolving over time? What is the dream for Matt Berkey going forward? I honestly don't know. I can honestly say that throughout my 14-year career I'm just as enamored by the depths of this game as I was day one. I want to be elite, and I'll pursue that unicorn until the game is no longer enjoyable. The dream? I think ultimately I want to leave a major impact on society, and though I don't know exactly how I'm going to do it or in what way I can possibly make a difference, I do know that's ultimately where my focus lies and poker will be the platform that allows me access to that dream. You mentor a lot of players. Who have been your mentors and what were the most important things they taught you? I've been fortunate enough to have a lot of impactful figures in my life as I grew up. For better or for worse, I am who I am mostly through a trial by fire. However, certain people like my grandfather absolutely defined who I am and what I stand for. He was easily the most giving man I've ever met, probably to a fault. But I routinely watched him absorb the problems of those he cared for. No obstacle was too tough, no favor too big. I really respected how effortlessly he carried the weight of the world on his shoulders and in return how revered he was by those he came in contact with. He was such a big presence and I've never seen someone command the attention of a room through simple narration [like him]. Can you share a fun story from your time playing in the "Big Game" that might surprise people? There are so many incredible stories that have been told in that room as well as mind-boggling events for which second-hand storytelling doesn't do justice. I will retell one story involving myself and JRB (Jean-Robert Bellande), as I believe he's a bit misunderstood by those who don't know him well. One evening we were playing the usual $300/$600/$1,200 game and I was in the midst of losing more sessions in a row than I could count. A hand came up where I raised what I thought was -suited. JRB called from the small blind and we saw a flop of . He check-called $4K. The turn was a brick and I bet $10K, and he called again — pot is now about $35K. The river was an offsuit . He led into me for $25K and we had about $100K behind. I tanked as I knew he didn't have but thought it was possible he had -suited and had picked up a backdoor flush draw to call a second time. Eventually I elect to just call and he tables a set of sixes. I then proudly turn over my… -high?!?!?! He says, "Did you just call me with eight-high?" and I died a little. I explained I misread my hand. He then tossed me back the $25K chip, to which I politely said thank you but it was my mistake and I would own it, even though in my mind every part of me wanted to take that $25K and disappear off the face of the Earth. He threw it to me again and explained we're all gentlemen here, not cold-hearted killers. 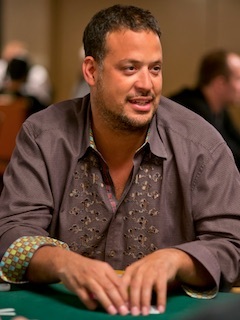 Before I could graciously decline again Mr. (Bobby) Baldwin grabs the chips slams it on my stack and says, "Kid, if a man wants to give you a $25K gift, you say thank you." And so I did. How are you preparing for this year's WSOP? Will this be the year that Matt Berkey gets his well-deserved bracelet? Ha, I don't know that anything in this game is deserved or even expected, but I would like to get off the schneid for bracelets. I think being so heavily involved in strategy construction as well as general content creation has left me in a place where I'm all studied out. I feel dialed in and am kinda just maintaining until the spotlight is on. Most of my preparation will be in regard to the Super High Roller Bowl. [Ed. note: The $300K SHRB returns to the ARIA Resort & Casino this May 28-31.] [I'll be busy] profiling the field, examining the structure and specifically preparing for the nine-man bubble when the tables are unbalanced at five and four. That was a really pivotal point last year where I think I navigated on autopilot a little too much. There's a lot that can be accounted for during that very specific dynamic. Any tips for anyone who is going out to the Series for the first time? Especially how can they make the most of their time in Vegas. I'm actually in the process of preparing an all-inclusive webinar to discuss this very topic among a myriad of tournament strategy dissection. Generally speaking, I would suggest to have a plan. It's incredibly easy to get caught up in the action and forget the big picture. Stick to your best discipline or at least save your shot-taking for that realm. In other words, if you're primarily cash, take a shot at a stake or two up rather than firing a $5K or $10K WSOP event. The luck factor of tournaments is incredibly alluring when players are most vulnerable. Don't succumb to the long shots if it's potentially damaging to your opportunities moving forward. Dr. Tricia Cardner is the author of Peak Poker Performance (with Jonathan Little), available in paperback, audio and e-book formats via Amazon. Take her free online course Rev Up Your Poker Success, a step-by-step guide to designing your best year ever. And for more from Dr. Cardner, visit her website and follow her on Twitter @DrTriciaCardner.